Read about Hungary's visa procedure, cuisine, attractions and shopping options in detail on this page. With all its natural beauty and historical richness, Hungary is a country in Central Europe. Although the capital, Budapest, is the first to come to mind, there are many other beautiful cities. These are waiting to impress you with their unique silhouettes in 5 different regions of the country. This is also the reason why Hungary is among the top 30 travelling destinations. After being inhabited by different civilizations and seeing many different wars and political conflictions, Hungary is now a democratic parliamentary republic with a population of almost 10 million and a European Union member. Hungary, surrounded by 7 different countries, has a unique language that is different from the neighbors’. Composed of all the different influences during the history, the country now has a one of a kind culture, too. World famous Hungarian artists have been a pure source of inspiration for a lot people around the world. Composers such as Liszt, Bartók and Kodály, writer Imre Kertész and director István Szabó are only few of these. You are about to discover Hungary; country of the elegance, filled with grace that have been in the atmosphere of it for many years. Hungary is one of the countries that participates in Schengen Agreement. Hungary’s Consular Services’ web site provides detailed information about the visa requirements. Hungary still uses its own currency; Hungarian Forint. Credit and debit card will be accepted in most of the places in Hungary. During your travel, post offices can be used to get cash from credit and debit cards. Make sure to have enough free space in your suitcase. We are pretty sure you’ll find a lot of things to take back home. To start with, black pottery from Nadudvar region in Hungary shows one of the best forms of craftsmanship. Lace, painted ceramics, antiques and Hungarian glass are also pieces that will always remind the fabulous time spent here. Hungary is also well known with its dairy and meat products. Try cold smoked sausages, take some Hungarian saffron to use while cooking later. A bottle of Hungarian wine as well as some Gundel cheese should also be on the shopping list. The capital, Budapest, will give you the chance to discover two cities at a time as it is divided into two by the beautiful Danube. However Hungary is a lot more than just Budapest. Lake Balaton, with its magnificent view and surrounding vineyards is always an excellent destination to discover. Western Transdanubia is a rural part of the country and gives you the chance to try some of the most typical Hungarian dishes you can’t find anywhere else. Pécs is the center of the island that is known as the Southern Transdanubia. This small island’s characteristic way of living will open up a new window in your perception of the country. In Hortobágy, which is on Northern Great Plain, a lovely village life can be experienced. In addition, there are historical sites in the city worth having a look. Hungary is one the best spots in the world to make bird watching. Every year many tourists fly here to try it out. Horse riding is also very popular in the country. Is there a more relaxing way to ease your mind while enjoying the beautiful nature on a horse’s back? No, we can’t think of a better one as well. Hungarian Baths are also on demand throughout the whole year. Enjoy this thermal treasure to shake the stress away. The time that is spent in Hungary will probably be one of the tastiest of your life. Cuisine of the country consists of harmonious use of many different ingredients. Soup has got a main role in eating habits of the land. Don’t forget to try Gulyásleves which is also known as the Gulash. Even types of fresh fruit soups can be found all around Hungary. Meat and vegetable dishes of Hungarian cuisine are really famous. The only thing to be careful about is most of the dishes are a bit spicy. Some of the best examples are Töltött Tojás which is an egg dish, Palacsinta and Szuz Tekercsek. Dessert is another specialty area of Hungary. Chocolate lovers should go for Dobos Cake. Vaníliás kifli and Piskóta would go really well with a cup of coffee. Arany galuska is the thing to get if vanilla is what you look for. 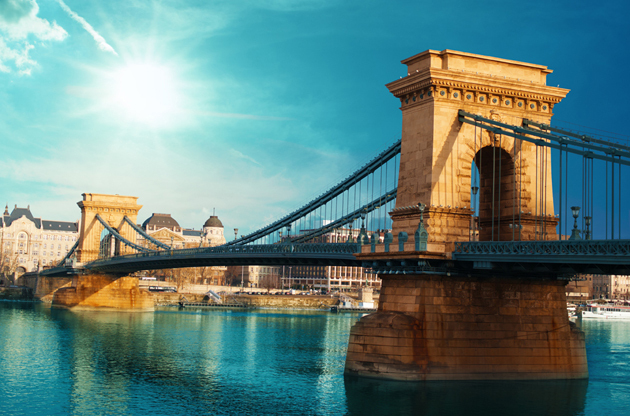 Hungary has increasingly becoming one of the top countries to host large scale exhibitions, tradeshows, fairs, symposiums, conferences and congresses. The central location of the country and its raising success at the organization of these meetings turns the country, especially the capital Budapest into a hub to be visited in order both to attend these and enjoy the cultural richness there.